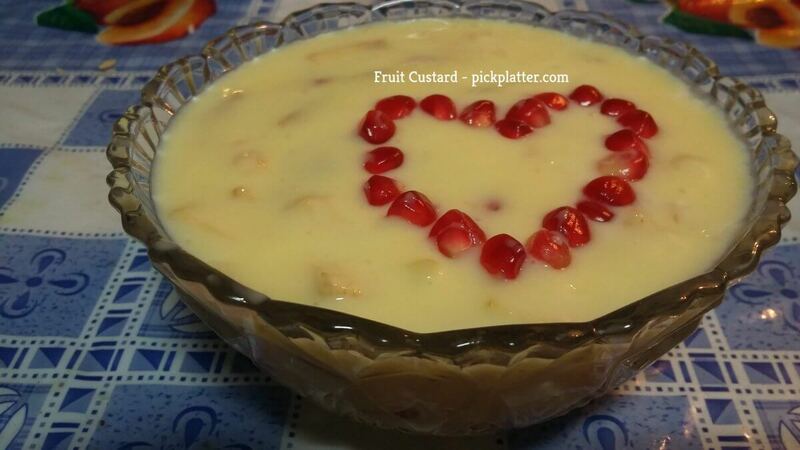 Red Heart Custard with loads of fruits…. First put milk on heat. Once it becomes luke warm, take 2-3 spoons of milk and mix it with custard powder to make a paste. 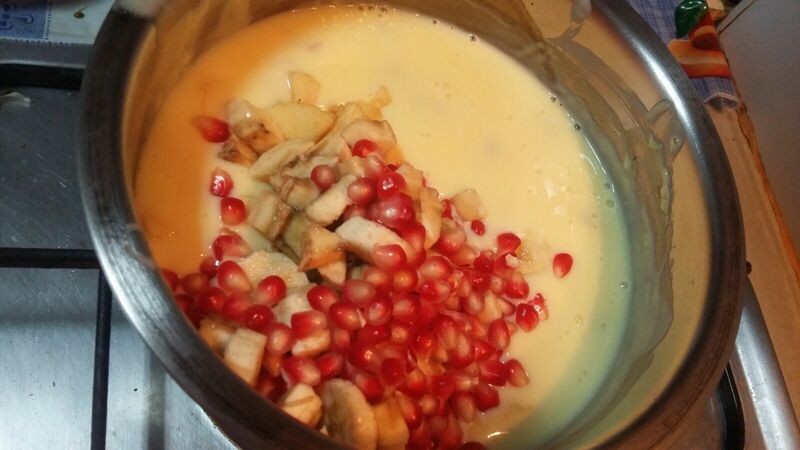 Once milk gets boiled add sugar and mix well.Now add prepared custard paste to milk and keep stirring. Keep stirring continuously for 2 minutes. Then add dry fruits pieces. Boil it for 1 minute more and switch it off.Let it be cool and refrigerate for 2-3 hrs. Coconut Ladoo made with fresh grated coconut and condensed milk. Quick and yummy sweet recipe. 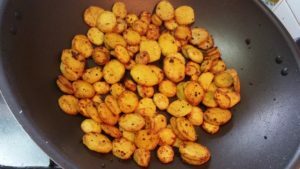 Heat 4 tbsp of Ghee in a frying pan. Add grated coconut. Stir and saute coconut on low flame for 4-5 minutes. Now add condensed milk. Mix well. Cook till the mixture thickens. Keep stirring continuously. When the mixture starts separating oil, switch off the flame. When the mixture is little warm, grease your palms.Take small portions of the mixture and roll it with your palm to form laddos. Repeat it for whole mixture. Now Coconut laddos are ready to eat. You can refrigerate it for 5-6 days. 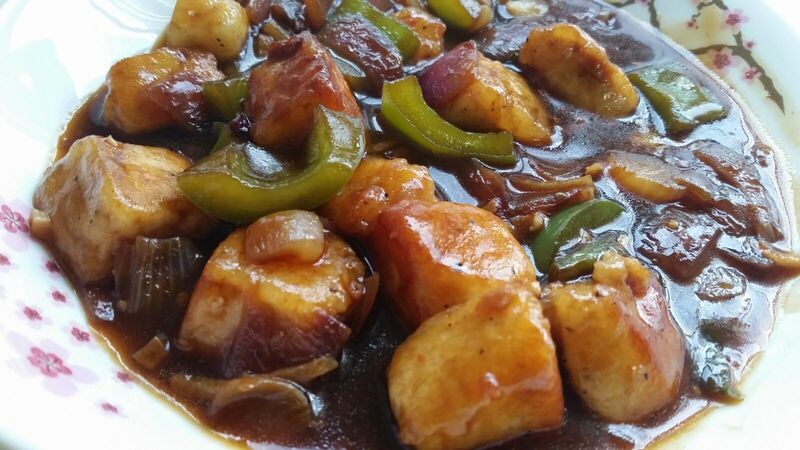 Chilli Paneer with Gravy, one of the famous indo chinese recipe. In this video leaen how to prepare hot and spicy Chilli Paneer with gravy. Add Corn flour, pepper powder and salt to Paneer cubes. Gently Mix without breaking paneer cubes. Heat oil in a non stick pan. Place paneer cubes in pan. When base turns light golden, flip and fry so that it uniformly becomes light golden. You can also deep fry them. Don’t fry it for long time as it will become hard. Once cubes turn golden, place them in a plate and keep aside. In the same pan, Add chopped ginger garlic. Saute utill raw smell goes. Then add onion, green chilies and saute for few secs on high flame..
Now add chopped capsicum and again saute until capsicum is half cooked. Now add Vinegar, Soy sauce, Chili sauce, Tomato sauce and mix well. Add Aginomoto. Then add fried paneer cubes and mix well. 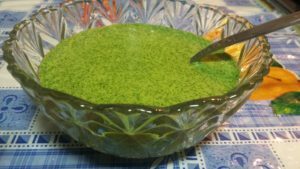 Sprinkle Pepper powder. In a Bowl of water, add 2 tbsp of Corn flour. Stir well. Pour it to the pan. Keep Stirring. Add Salt (very less as sauces already contain salt). Keep stirring until it comes to boil and mixture thickens a bit. Then Switch off the stove. Garnish Chili Paneer with chopped Spring onion and serve hot. When mustard seeds start cracking, add ginger garlic paste and saute until raw smell goes off. Add haldi and mirch powder. Now add Arbi. Mix well. Cover and cook. Keep stirring in between. When it’s almost cooked, add salt. Again cook for 1-2 minutes. Now cook it for another 30 seconds without covering the lid and continuous stirring on high flame. Crispy and yummy Arbi fry is ready. Mungfali chaat or Peanut chaat is a spicy, tangy and healthy snack. 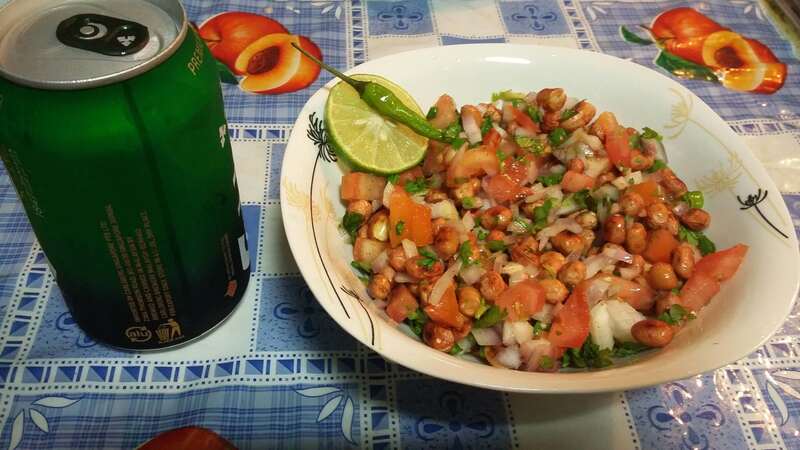 Munfali chaat or Peanut chaat is best companion of Tea as well as any alcoholic drink like chilled beer. Mungfali chaat / Peanut chaat is also healthy snack for children. Heat a pan and roast mungfali/peanut. It will take 3-4 minutes. Keep stirring. Once mungfali is roasted properly, place it in a plate and let it be cool completely for 15 mins. Now add all the ingredients to roasted mungfali/peanut and mix well. Your chatpata mungfali / Peanut Chaat is ready. Garnish with green chili and lemon slice. SHARE YOUR FEEDBACK AND SUGGESTIONS BELOW………. Crispy, Healthy , Quick and Tasty Mix Veg Uttapam. Uttapam is a healthy breakfast or snacks dish. It’s basically made by suji/semolina/rava and curd/yogurt which is crisp and crepe-like, thick pancake. 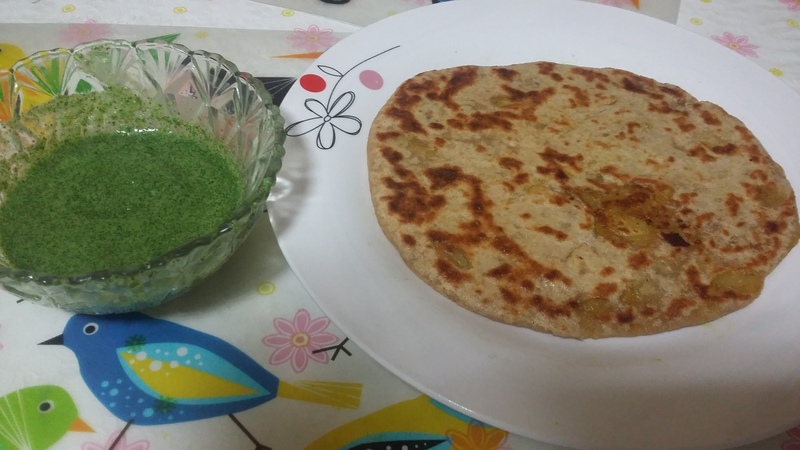 Uttapam is a quick and simple recipe. There are many different varieties of uttapam like plain uttapam, onion uttapam, vegetable uttapam and many more. I love mix veg uttapam. I prepare mix veg uttapam in two different ways. 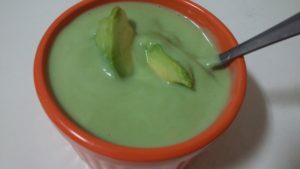 One by mixing all the vegetables in the batter and other one is by placing vegetables on the top of it. Here I am going to show you the first way of making uttapam. You can check the other way here Crispy Uttapam. Here I am going to show you how to make uttapam by mixing vegetables in batter. While making uttapam this way, just be careful while flipping the uttapam as it may break. This can be served with tomato sauce or coconut chutney and sambhar. Now take suji/rava, curd and salt together in a bowl. Mix well using spoon by gradually adding water until batter has thick yet watery consistency. Now add all the chopped vegetables(onion,tomato,green chili, capsicum, coriander leaves) to batter and mix well. Heat non stick pan over medium flame and add few drops of oil on the surface and spread it. Now pour batter (approx. 1/2 cup) and spread it into a circle. Cook until bottom side turns light brown. Flip it and cook another side over medium flame until bottom surface turns light brown in color. Flip it again and cook for 30-seconds. Transfer it to a plate. Uttapam is ready.